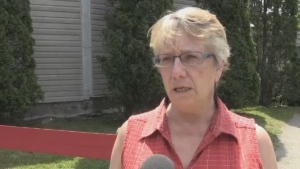 Shelburne Mayor Karen Mattatall is blasting the Nova Scotia Health Authority after learning that the town's emergency room will be closed for several days over the next week. The mayor of Shelburne is blasting the Nova Scotia Health Authority after learning that the town's emergency room will be closed for several days over the next week. She calls it unacceptable -- and so do residents in the area. Some residents of Shelburne and the surrounding area were on edge again Wednesday night. Their emergency room is closed until Thursday morning. The mayor says she just learned of the closure Tuesday night. Clearly it’s not the first time, but she does believe the closures are becoming more common. Liverpool is about 45 minutes away. Yarmouth is over an hour. That concerns resident Anne MacNeil. “I'm very concerned about people that require treatment within the golden hour as they say,” MacNeil said. She has a notice she carries with her that says any point her medical condition may require immediate attention. Retired nurse Vivian Williams says she’s concerned about seniors. Shelburne’s mayor says that doesn’t make it okay. 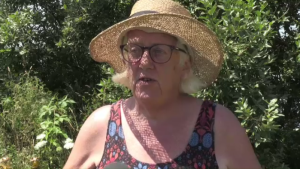 She calls the closure unacceptable and leaves the Shelburne County area -- about 15,000 people -- vulnerable, for at least 104 hours over the next several days. Shelburne resident Anne MacNeil says she is 'royally peeved off' over the closure of her town's emergency room.